Mortgage Refinancing Loan Terms – Are 10 or 15 Year Terms Better? 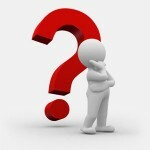 There is a lot of decision making involved in refinancing a mortgage loan. Before applying for a mortgage, you should figure out what your budget is, so you will know how much you can spend on fees, down payment, and the mortgage itself. Also, it is very important to come to a conclusion regarding what your future plans are, like how long you want to live in the home that you are buying. All these factors will help you better determine what kind of term you are looking for in a mortgage. Paying off a mortgage in 30 years is very common, and will probably work for you as well. Even if your interest rate will be slightly higher, your monthly mortgage payments will be lower, so you will have an easier time paying it off. That sounds great, but taking pretty much half your life to pay off a mortgage sounds a bit daunting. A good alternative is to get a 15, or even 10, year mortgage loan, which will have a lower interest rate but larger monthly payment. However, even though comparing a 15-year mortgage to a 10-year mortgage seems much easier than comparing a 15 and a 30-year, there are some things that you need to keep in mind before deciding on either one (Read: Home Refinancing Objectives: The Basics). Usually, paying off a mortgage loan in less years means that you will pay less in interest. The difference in interest may seem very small, less than 1 percent, for example, but that means thousands of dollars over time (even tens of thousands of dollars) depending on how large your mortgage loan is. The difference in interest between a 15-year mortgage and a 10-year mortgage will probably be even less than .50 percent, but it will still be a huge difference in the interest that you will be paying during the loan repayment period. The downside is that, the shorter the loan term, the larger your monthly mortgage payments will be. Depending on your budget and plans, this might only be a small disadvantage. If you can afford the monthly payments and plan on paying off your mortgage as soon as possible, getting a mortgage with a lower term is the way to go. If you are unable to make a larger mortgage payment each month, paying off your loan in 15 years instead of 10 is a good alternative. Your monthly payments will be lower, but your interest rate will be higher, so you will spend more overall than if you paid off your mortgage in 10 years. However, you have the option of making additional principal payments which will result in paying off the debt in the same amount of time as a 10-year mortgage, and also give you the option of skipping a principal payment if money is tight in any particular month. The amount of years that you need to pay off a mortgage loan can make a large difference in how much you spend on your mortgage. Longer terms mean that you pay more overall, but you can do it much easier, shorter terms mean that you pay less overall, but at the cost of having to come up with more money each month. Ultimately, deciding between refinancing into a 10-year or a 15-year mortgage depends on how much you are willing to spend on your mortgage each month and your future plans. Similar to low documentation loans, a no documentation loan is a type of mortgage loan that requires very few documents in order for the loan to be granted. You essentially just need to sign an affordability statement which states that you are aware of how much you will have to pay back and that you can afford to pay back the loan. You won’t have to provide proof of income when taking out a mortgage loan with no documentation needed. Unlike conventional mortgage loans which require a 10 to 20 percent down payment, no documentation mortgages require a 5 to 30 percent down payment, depending on what your credit score is. Home buyers with less than perfect credit score also have the option of taking out a no documentation mortgage through the Federal Housing administration (FHA), which insures mortgage loans against default. Because no documentation loans don’t take long to be approved since there is little that your lender has to verify, and since they require so little paperwork to prove your income, these are typically mortgage loans for self-employed or for those with bad credit history. 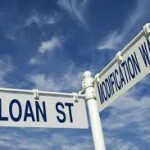 How Can You Qualify for a No Documentation Mortgage? Many people believe that someone who is looking for a no documentation loan must have something to hide, but that is rarely the case. This type of loan is preferred by people who are self-employed and can’t provide the proof of income for lender requirements in order to give out a conventional loan, people who are unemployed and can’t meet the requirements for a traditional mortgage loan, and people with a poor debt to income ration, but who can afford to pay back a mortgage loan without difficulty. It is true that someone who makes money from illegal activities can take advantage of this type of loan, but it is not why this loan was designed. It is estimated that approximately 20 percent of all borrowers have chosen this type of loan instead of a conventional one. Even though this loan is described as a no documentation loan, there are still a few documents that you will have to provide for your lender. The lender will still have to see a credit report in order to determine how big of a default risk you are. Also, the property that you wish to buy will need a home appraisal so that your lender can determine if the money that you are borrowing actually represents the value of the home. You could obtain a mortgage loan even without those documents, but the loan will probably be much more expensive. You should also keep in mind that this type of loan is only valid for the purchase of a single family home, town house, or apartment. Commercial property and manufactured homes can’t be purchased with a no documentation loan. Another thing to remember about no documentation loans is that they typically require a higher down payment than conventional loans, and also come with higher interest rates and closing costs. Your credit also has to be in good standing, or the loan will be much more expensive and your mortgage application can also be denied. Mortgage loans that have no documentation requirements are a good alternative for home buyers who don’t qualify for conventional loans, or for those who wish to take out a mortgage loan without providing too much info about their income. Before deciding to go with a no documentation mortgage loan, you should do a little research and find out if you can meet the requirements of a conventional loan, which can be cheaper and provide greater benefits. Depending on the amount borrowed for your mortgage loan and many other factors, like the interest rate and the loan repayment term, monthly mortgage payments can be as high as several thousand dollars and is most likely your largest monthly bill. Reducing your mortgage will make payments smaller, saving you money and making your life easier. Whether your monthly mortgage payment is very high or not, saving money is something that benefits everyone, especially those who are going through financial issues. Fortunately, there are some tips and tricks for reducing your mortgage that every home owner should know about. Refinance your home. Taking out a new loan, with different terms, to pay for your mortgage could be the best way to save money and reduce your mortgage. Refinancing into a lower interest rate loan will drastically reduce your monthly payment and make your mortgage easier to pay. However, the mortgage refinancing process can be fairly expensive, so you should take all costs into account if you decide to take this route. Also, because you will mostly be paying interest towards the beginning of the loan, it’s important to refinance as soon as possible and obtain a lower interest rate, saving more than if you refinanced later into the repayment period when you won’t be paying so much interest on the loan. Cancel private mortgage insurance. If you couldn’t afford to make the 20 percent down payment, then you are probably paying for mortgage insurance, as this is required for those who can’t make the minimum down payment. Private mortgage insurance can mean thousands of dollars monthly. If you have repaid enough of the loan to gain at least 20 percent equity in your home, then you can contact your lender and discuss cancelling your private mortgage insurance. Your lender will have your home appraised to determine its value, and cancel your private mortgage insurance. Lenders don’t drop the insurance on their own, so you will have to contact them about this when the time comes. Shorten the term of your mortgage loan. While shortening the loan term won’t make your monthly mortgage payments smaller but will actually increase them, it will significantly lower the overall cost of the loan. Paying off your mortgage loan quicker means you will be paying less in interest, which can save you thousands of dollars. If you come to the conclusion that you can afford to make larger monthly payments toward your mortgage loan, then shortening the length of your loan is a sure way of reducing your mortgage. Extend the term of your mortgage loan. If monthly payments start to become a burden, then a way of reducing them is if you extend the length of your loan, for example from a 15-year to a 30-year mortgage. 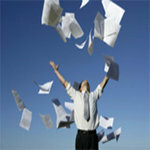 However, this means that you will be paying significantly more in interest, which will increase the overall loan value. You will still be able to make extra payments on your loan, which will pay it off quicker, and your monthly payments will be much lower. Make extra payments on your loan. While this doesn’t sound like something that will help you reduce your mortgage, making extra mortgage payments will help you pay off the loan quicker and save thousands in interest costs. Of course, if you can make regular extra payments, you should just reduce the term of your loan and pay the higher monthly payments. But making a few extra payments now and then will still be of great help in reducing the cost of your loan, and diminish its term. Being able to reduce your mortgage depends mainly on your financial situation and budget. Take some time to carefully evaluate your monthly expenses and decide if you can make some changes to your mortgage in order to help you save money. Short-Term Homeownership: Is it Worth it? Owning a home is most people’s life-long dream, but, between mortgage payments and maintaining the home, home ownership can be very expensive. The closing costs that you will have to pay when buying a home will be a few thousand dollars, to which you will have to add the real estate agent’s commission. Property taxes and insurance are two other costs that you will have to take into account when deciding if buying a home is the right choice. Home ownership is expensive, but it also has a lot to do with how long you plan on living in that home. Simply put, the longer you live in your home, the better your chances that the home will turn out to be a great investment. Buying a home involves several costs, which shouldn’t be overlooked by anyone who wishes to become a home owner. The various fees that you will have to pay at closing will generally cost you a few thousands of dollars. Some types of mortgage loans allow you to finance these costs, but you will most likely have to pay them one way or another. The cost of owning a home varies, but it shouldn’t be underestimated. Your monthly mortgage payment will, most likely, be your largest monthly bill. Apart from that, owning a home also requires you to pay property taxes, insurance and utilities, such as water, gas, and electricity. Your home may need repairs or improvements, which will drive the cost of owning a home much higher. Selling a home will probably require you to hire a real estate agent, so you should factor in the real estate agency commission when you calculate how much you have to spend when selling your home. Costs for services like home inspections or credit checks are normally paid by the buyer, but there are some fees that you may have to share with the buyer. Short-term home ownership can be advantageous, but it depends on several factors. 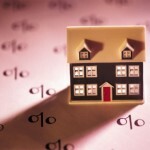 Postponing the purchase of a home will result in missing out on tax deductions for home buyers and not gaining equity. Also, there is always the risk that the housing market can improve suddenly, which will drive house prices much higher, making it more difficult for you to afford a home. If you plan on moving out after a short period of time, then your best choice is to develop a strategy that will protect you from losing significant amounts of money. You could, for example, find a home that is priced under market value but is in need of repairs, spend the money to repair it, and sell the home for a profit. If you can do most or some of the repairs yourself, you will save a lot of money that would otherwise be spent on a contractor. Another way in which you can make short-term home ownership work for you is to buy a foreclosed home or a home with sellers in a hurry to sell. Of course, you will have to take many more precautions to ensure that you don’t end up with a home that needs expensive repairs. The bottom line is that short-term home ownership is risky, and can cause you and your family to lose money. Before buying a home, you should consider all aspects of home ownership, without neglecting the amount of time that you are planning to invest in the home before selling it. Owning a home for a short period of time can also turn profitable, and be a great choice for you and your family, but you will have to do the necessary research beforehand and take all the precautions that you can. Paying off your mortgage early sounds appealing and in some cases is a good choice, but there are several reasons you shouldn’t do it. Depending on your financial situation, it may be more beneficial for you to keep paying your mortgage month to month, as it was agreed upon. Of course, paying it off early will rid you of a very large monthly bill. But if you have other debt, or don’t have any other savings, this move can interfere with other areas of your financial situation, making your life harder. Here are the most important reasons why paying off your mortgage early is not recommended. You have other debt. Because interest rates on consumer loans, such as a car loan or a credit card are much higher, it is recommended that you pay those off first. For example, it would be to your advantage to pay off a loan that has a 15 percent interest rate before paying off your mortgage which has a 5 percent interest rate. Your mortgage interest may be tax deductible, unlike interest on a credit card debt. 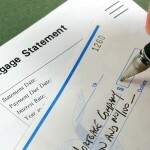 So, before you even start to consider paying off your mortgage early, make sure that you have paid your other debts. You will be left without savings. Paying off your mortgage early will make things easier for you because you won’t have that large monthly payment to worry about anymore. But if this leaves you with no savings, this puts you at great risk in the event of a job loss or illness. Also, you could use that money to beef up your retirement savings, or start a college fund for your children. You won’t be earning interest on that money. Paying off your mortgage early will earn you zero return. 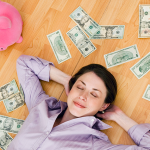 Placing that money into a savings or retirement account will earn you money over time. It won’t be a significant amount of money, but it will still be better than paying off your mortgage and earning nothing. There’s a chance that you will move in the near future. This mostly depends on each individual or family, but studies have shown that most people live in a house for 5 to 7 years. Paying off a mortgage early if you don’t plan on living in the home for more than 30 years is not very beneficial. 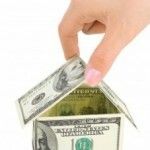 If you are selling your home after only a few years, you will get back all the money that you paid each month. Inflation will make your overall loan value cheaper. Because inflation rises a few percent per year, as time goes on, your mortgage loan will become cheaper. The monthly mortgage payment that you made this month won’t have the same value as it will 15 years from now. As prices for everything increase over time, your mortgage payment will remain the same. 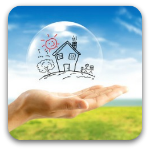 Paying off your mortgage also has a few advantages, the most important being that you will have more peace of mind. Not having to worry about that large monthly bill and being free of debt can make your life a lot easier. But, many times, doing the opposite and not paying off your mortgage early can be very beneficial as well. Investing that money into something else, or simply using your money for something else, can have more financial advantages than simply paying off your mortgage early. This decision largely depends on each person’s financial situation and future plans, so it is very important to understand what paying off your mortgage involves before going down that road. Is a No-Fee Mortgage Suddenly Ok? Ask the Experts! One of the reasons that may be keeping you from becoming a home owner is the large closing cost that comes with taking out a mortgage loan. Between all the fees that you have to pay when closing on a mortgage loan, you will end up paying several thousand before you even start making monthly mortgage payments. Add the required down payment to that, and you have a reason not to take out a mortgage loan. Lately, many lenders have been pushing a no-fee mortgage loan, which may be the answer for someone who can’t afford to pay for the closing costs all at once. But, as with all the types of loans that are designed to help people who can’t take out a conventional loan, there are aspects of the no-fee mortgage which, depending on your situation, can make the overall cost of your loan much higher. What is a No-Fee Mortgage? Like its name implies, the no-fee mortgage is a type of mortgage loan that doesn’t require the borrower to pay any closing costs or fees. 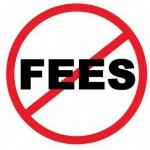 Fees for appraisals, processing, applications and many others are all waived, at the cost of paying a higher interest rate. Depending on each borrower’s situation, this might be the perfect solution, or something that will come back to haunt them later. Closing costs can total over $5,000, so having these costs waived sounds really good for a borrower who also has to make a hefty 20 percent down payment when taking out a mortgage. This type of mortgage has its pros, but it also has serious cons. The decision of whether to apply for this loan should be based on each borrower’s individual budget and financial situation, not on the fact that you get to save several thousands in the beginning. One of the pros of choosing this type of mortgage is that you will be protected against being overcharged on fees and closing costs. Usually, when a borrower shops for a mortgage loan, he or she only looks at the interest rates when comparing loans. Then, when the closing time comes, they are taken by surprise by all the fees that have to be paid. Lenders usually add several junk fees to the closing costs, driving the cost a lot higher than the borrower would expect. Because a no-fee mortgage requires the borrower to pay a higher interest rate and no closing costs, the borrower can easily compare loans from different lenders by just looking at the interest rate. Another advantage of no-fee mortgages is that, even though the interest rate is larger, the rate that you are paying is tax deductible. The largest disadvantage of a no-fee mortgage is that that borrower will have to pay a higher interest rate than he or she normally would, if they paid the closing costs. The higher interest rate is calculated by estimating the closing costs and finding the right interest rate that will cover them. The high interest rate can become burdensome over time, so it’s important to consider all aspects before taking out a no-fee mortgage loan. The easiest alternative to the no-fee mortgage is to pay for the closing costs when the time comes. This is the best and probably cheapest choice, but it requires you to come up with a fairly large amount of money on top of the already expensive down payment. Adding the costs to your loan amount is another alternative to the no-fee mortgage. With this option, your lender will roll your closing costs and loan amount together, and you will have to pay the entire amount, with interest, over time. The advantage is that you won’t have to pay all those fees at closing, but the disadvantage is that this means you will take on more debt. No-fee mortgages are a good choice for borrowers who can’t pay the closing costs upfront. By waving those fees, more people can afford to become home owners, but it is very important to understand that the fees will still be paid through the higher interest rate. Because closing costs take a long time to recuperate with a conventional loan, the no-fee mortgage is also a great option for those who don’t plan on living in a home for a long time. Proper knowledge of your financial situation and plans can help you better determine if this type of mortgage is for you, or if you should take a more traditional route to becoming a home owner. Mortgage points are various costs or fees that are paid when taking out a mortgage loan. Their value is based on the size of the mortgage loan and they have an influence on what your interest rate will be. Mortgage points are essentially a form of interest that is paid before you start making payments on your mortgage loan. Acquiring a mortgage loan can be an expensive and complicated process, but an explanation of mortgage points may make things a little easier and save you money in the long run. There are two types of mortgage points: discount points and origination points. One point equals 1 percent of the total loan amount. For example, on a $200,000 loan, one point is $2000, which is 1 percent of the total amount borrowed. Origination points are paid to lenders in order to compensate them for their role in processing and approving your mortgage loan. Your credit history plays an important part in the number of points that you will have to pay to your lender. You can negotiate how many origination points you will be required to pay, but origination points are not tax deductible. The points that will have a bigger impact on how much you will spend on your mortgage loan are discount points. Equal to 1 percent of your mortgage loan amount, one discount point will reduce your interest rate by 0.25 percent. Usually, lenders allow you to purchase anywhere from 0 to 3 discount points. So discount points are a form of pre-paid interest, which can help you pay less on your loan over its lifetime. Are Mortgage Points Worth Paying for? When you consider purchasing discount points, you must take two factors into account. The first is how long you are planning on living in your new home. Because discount points reduce your loan’s interest rate, the more you live in your home and keep making payments, the more you will save. If you plan on moving after only a few years, then paying for fewer points or even none is generally a better choice. The second factor that you should take into consideration when deciding whether to pay for discount points has to do with your ability to pay for them. Between the large down payment and closing costs, buying a home is a pretty large investment, and sometimes there simply isn’t enough money left to purchase mortgage points. Because points are based on a percentage of the total loan amount, buying a cheaper home means that points will be more affordable as well. But with more expensive homes, such as a $400,000 home, three discount points will cost you $12,000, which is not exactly cheap, especially when you have to pay several other fees and the down payment on the closing day. Whether it’s worth paying for mortgage points or not depends on your future plans and budget. If you do your homework and calculate how much your mortgage will cost you with and without points, you will generally find that paying for points is a good investment that will save you a considerable amount of money. You won’t see any huge savings on interest month to month after purchasing points, but, after a 30 year loan period, those savings will add up to tens of thousands of dollars. Of course, before choosing to pay for mortgage points, you should carefully analyze your finances while taking into account the two deciding factors. Probably the most important aspect of a mortgage is its term, or the number of years that will be needed for you to repay the loan. The mortgage loan term is very important to a home buyer, as it will influence the amount that you will have to put down as a down payment, your monthly payment, and the interest rate that you are going to receive from your lender. Of course, choosing between a short and a long term mortgage loan will be determined by your budget, financial situation and plans for the future. The most common are the 15 and the 30-year mortgage loans. But you should know that there are many other mortgage loan options out there, such as the loans that can be repaid in 10, 20, 25, 40, or 50 years. The monthly payment. Because it extends over a longer period of time, longer-term mortgage loans will result in a lower monthly payment. This can make your life much easier, but, over time, you will pay more than on a short-term loan. The interest rate. Short-term mortgage loans feature lower interest rates than long-term mortgage loans. In addition to that, the longer the term, the more interest you will pay over time, which will drive the overall cost of the loan much higher than of a short-term loan. Your future plans. If you plan on moving a few years after taking out a mortgage loan, then the savings that you would make by paying a smaller interest rate on a short-term loan might not be too valuable for you, and a longer-term loan with a smaller monthly payment might be a better choice. The 10-year mortgage loan. This type of mortgage loan is tailored mostly for people with high income, who don’t mind making a much higher monthly payment, while saving money in interest. Taking out a 10-year mortgage loan is a smart move that will possibly save you a lot of money over time, but it’s also the riskiest, because 10 years is still a long time, in which a lot can happen to you financially. The 20 and 25-year mortgage loans. Great for people who don’t have the available budget to make the monthly payment on a more traditional 15-year mortgage loan, or don’t want to make a monthly payment for the next 30 years, with a 30-year mortgage loan. These mortgage loans are also great for refinancing. With current mortgage rates low right now, refinancing a 30-year loan into a 20 or a 25-year loan can result in a slightly larger, or even the same monthly payment as before, but with a few years less to pay. The 40-year mortgage loan. With a longer period of repayment than the traditional 30-year loan, this type of mortgage loan features a smaller monthly payment, allowing you to buy a more expensive home. Unfortunately, the 40-year loan comes with a larger interest rate, which will increase the cost of the loan over time. The 50-year mortgage loan. This type of loan features the lowest monthly payment of all types of loans, so it is attractive to people with lower incomes. Considering the fact that half of all first time home buyers in the United States are around 30 years old, individuals who choose a 50-year mortgage loan will only pay off their home when they are 80 years old. In addition, the interest will be higher than on a 30 or 40-year mortgage loan, and equity will build extremely slowly. The mortgage loans described in this article may not be so popular, but they sure have their place. It ultimately depends on each individual’s budget and plans, so you should take them into consideration, whether you are a first time home buyer, or you are looking for mortgage refinancing options.